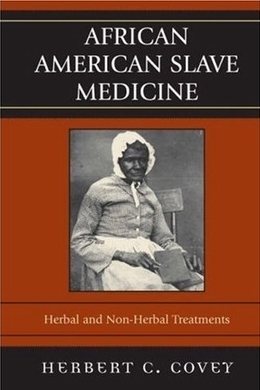 Researchers, writers, fans of African American history or those who are fascinated with the history of medicine before, during and after the Civil War will love author Herbert C. Covey’s 2007 title, African American Slave Medicine: Herbal and Non-Herbal Treatments. The manuscript revolves around the broad question of whether slaves were given the same medical consideration as their white counterparts, or whether they were in fact medically neglected. To answer the question, Mr. Covey first lists the common diseases of the time (tuberculosis, influenza, smallpox, malaria, yellow fever, and even leprosy), and how these affected both white and slave. He then examines the high mortality rates of the slave population from typhoid fever, cholera, dysentery, hepatitis and worms, due mostly to unsanitary living conditions. From there, he examines the cures of the time, including “methods of depletion” like bleeding, sweating, purging, blistering and vomiting, which everyone–slave and free, black and white, were subjected to. For the period researcher, there is a most interesting section in this book that divulges the contents of the medical kits of the day. Some doctors carried wine, paregoric, castor oil, rheumatic tincture, jalap, magnesia, Peruvian bark, and nitric acid, to name only a few of the multitude of items in use at that time. However, the doctors who used these ingredients did not always think they should be used on slaves. Mr. Covey explains that whites of that era believed slaves were of a different species, and therefore had what they termed as almost non-human diseases that explained why they were the way they were. For example, some white doctors believed it was okay to whip slaves because “their central nervous system was less developed [than the white man’s] and they could endure more pain.” Doctors also theorized that slaves who ran away did not run away because they were oppressed or unhappy, but because they suffered from “drapetomania” and “rascality.” Therefore, slaves were often given much different treatments for their ailments than whites. In fact, sick slaves were often thought to be lying to get out of work, and many slave owners worked with doctors to figure out how to get the greatest amount of work out of their sick slaves with the least amount of medical expense. It should be noted that a common thread throughout this important book is that the slaves did not sit idly by and wait for white doctors or slave owners to heal their aches, pains and diseases. Many of the older slaves remembered the remedies of their ancestors and healed their own people with herbs, plants and unrelenting faith. There is a wealth of information in the book about “grannies,” midwives and other medical folks within the slave community–and how white doctors often called for them when they could not figure out how to heal sick slaves. This straightforward, academic, sometimes “in-your-face” manuscript holds a treasure chest of information about early medicine, race, and medical treatments used during slavery. As such, it is definitely not for the faint of heart. There is plenty within the book’s pages to stir a reader’s anger and disgust. Of course, there are direct quotes from the WPA (Works Project Administration) narratives that attest to the fact that some owners were kind and cared for their “property” well, but there are also sections that throw the cover off of the cold, cruel, oft-times mercenary mindset of the day. Use this book as a supplement text to early American history, American medical history and African American history. 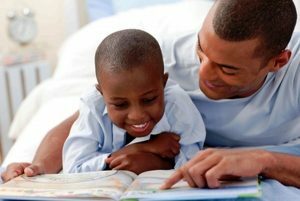 It can also be used to explore alternative medicine and healing because the herbs, plants and other items of that day are still in existence today. The book has a reference section at the end that is a researcher’s dream. There are also three indices that include plant and herb treatments (including the specific WPA narrative that mentions the herb), and non-plant or herbal treatments.